Our highly skilled Range Rover trained technicians at Steve Parkers Service & Repairs Ltd will service your Range Rover using the approved Range Rover schedules and approved genuine or original equipment parts to protect your 3 year manufacturer’s warranty. Range Rover, Range Rover Sport, Range Rover Evoque, we have special expertise in all Range Rover Servicing having been our passion long before the company was founded in 1982. 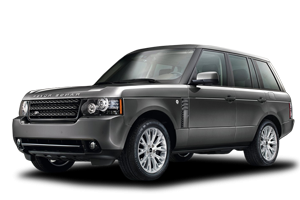 Your Range Rover will be serviced as per a normal Range Rover Dealers guidelines, however you will save up to 40% with us being an independent Range Rover Servicing Specialist. We also follow the Good Garage Scheme service sheets, alongside the Range Rover Schedules and use Forte fuel cleaners and forte motor flush. Service books can be stamped as we are a Vat registered garage, this is as per block exemption rules brought in 2003 ( that means you don’t have to use a main dealer). For older vehicles we have our own service schedules which are more suited to older vehicle requirements. Every service schedule has its lubrication points and a full list and report of the Range Rover’s general condition is carried out as part of the service. We then advise the customer if any further work required now or report any work that will want doing at a later date. This we feel helps customers look after their vehicle and budget for work later. We recommend that any small jobs are carried out as they come along so that a big bill isn’t accrued later. We also supply a hire car upon request for only £17.35 inc VAT per day. Our aim is to look after our customer’s Range Rover so that they have trouble free motoring between servicing. Why pay more for the same service? We have customers from all over the UK come to us for servicing, join them today. All our customers that have their Land Rover Defender’s serviced with us leave with nothing but great feedback. We don’t do MoT tests on site, however we take them to an MoT station which is very familiar with Land Rover vehicles, then we carry out any repairs required for the vehicle to pass it’s MoT. We also carry out general repairs such as cam belt renewals (some are carried out as part of a service), clutch renewals, tyre replacements, head gasket renewals, swivel overhauls, coolant leaks, radiator replacements, heater matrix renewal, recon steering boxes fitted, brake pads, discs & brake pipes, air springs and associated parts renewed. Suspension bushes renewed with rubber or polyurethane, suspension arms, & bushes, recon auto & manual gearboxes. We generally use genuine land rover parts or quality non genuine parts & oem parts where available for repairing the vehicles. We use Lockheed , TRW or replacement brake parts, Genuine Land Rover brake parts can be used upon request. Discovery series 2 1998-2005 engine management, abs, traction control, ace, alarm faults. Defender TD5 engine management, abs, traction control and twin button alarm faults. Freelander 1998 – 2007 abs, traction control, alarm faults and engine management faults on 1.8 petrol and 2ltr diesel tcie and TD4. Freelander 2 2007> on abs, traction control, alarm faults and engine management faults air suspension faults, service light switch off, immobilisers, vehicle information systems, air bags & restraint systems, instrument clusters, cruise control, body modules, etc. Range Rover L322 2002-2009 on abs, traction control, alarm faults and engine management faults, air suspension faults, service light switch off, immobilisers, vehicle information systems, air bags & restraint systems, instrument clusters, cruise control, body modules, etc. Range Rover Classic abs systems and air suspensions, petrol engine management systems. Range Rover P38 1994-2002 alarms, abs systems, hevac systems, body control modules, air suspension faults and engine management faults. L322 Range Rover TD6, Range Rover L322 & Sport TDV8 , Range Rover Sport, TDV6, Discovery TD5, Discovery 3 TDV6. We can now also service your air conditioning, which includes leak testing and refilling with air con gas. We are fitters of the SKYTAG gps tracking system, 24 hour, 365 day monitoring with direct police access. This is low cost monitoring, covert device, Accuracy 5-10 metres, European coverage, Priority response, Monthly test, transferable, Vehicle battery alert, No contract period, Some insurance companies could offer discounts. Fitting includes activation & 3 months subscription.